Sometimes music deals a blow so heavy that one has no choice but to stop and re-evaluate everything that's important to them. And this performance of Frances' "Don't Worry About Me" by Central Michigan University's On The Rox is causing us to do just that. 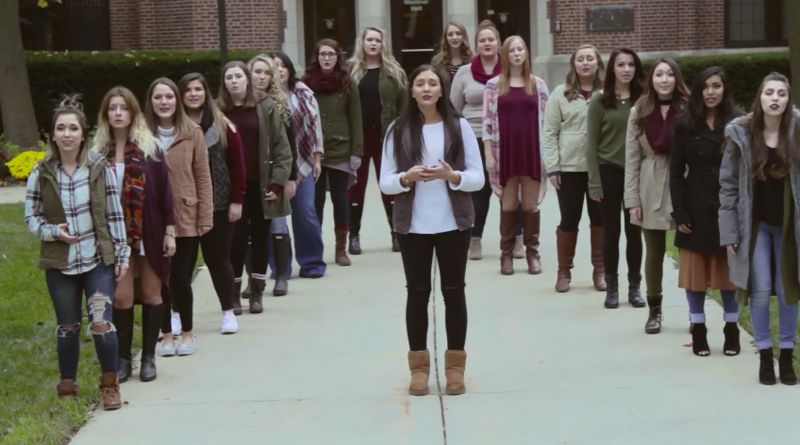 In this soft, folk-like ballad, the all-female a cappella group delivers a truly inspiring cover that conjures up deep feelings of comfort. The first minute of the song is a truly beautiful work of art as On The Rox's soloist has a moment of complete vulnerability as she shares a majestic vocal performance with no backing group. Then, as the entire group joins in, a whirlwind of every possible human emotion is felt through the rich singing that is shared. It's Marta Keen Thompson's "Homeward Bound" but for the modern era. It's quite a touching and moving video that's captivating and stunning all the way to the very last refrain. On The Rox has gifted the world something truly special with their latest release and it has filled our spirits with complete and utter joy.